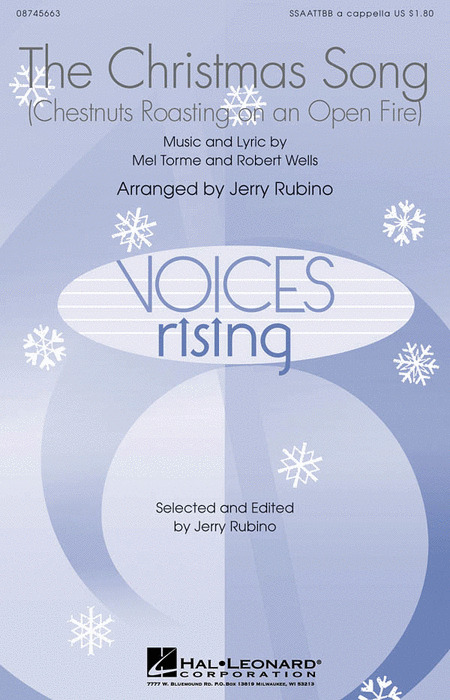 Jerry Rubino holds degrees in piano, music education, and conducting from Temple University and the University of Minnesota, and began his teaching career at Northwestern College in St. Paul in 1974. A native of Philadelphia, he was a charter member of the Philadelphia Singers and attended Curtis Institute as a cellist. He currently serves as Minister of Music at Spirit of Hope United Methodist Church in Golden Valley, Minnesota, is the artistic director of Jerry Rubino Plus and in Winter of 2005, was named Visiting Studio Artist at Augsburg College. Showcasing the talents of some of North America's best choral arrangers and composers, An American Christmas presents sixteen Yuletide treats that are guaranteed to add zest to any choir's repertoire. Drawing on a variety of styles including gospel, country, blues, and jazz An American Christmas presents some of the season's best-loved carols in a fresh light and there are also wonderful new original works by Libby Larsen and James Bassi. With opportunities for soloists and a variety of choral textures, this collection is bound to add an American sparkle to your ensemble's festivities. 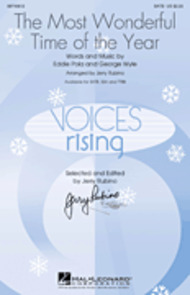 This is the perfect choral anthology for all mixed choirs who are sure that Santa Claus is coming to town! This collection boasts twelve dazzling arrangements of the top Christmas classics by some of America's best jazz and vocal arrangers. 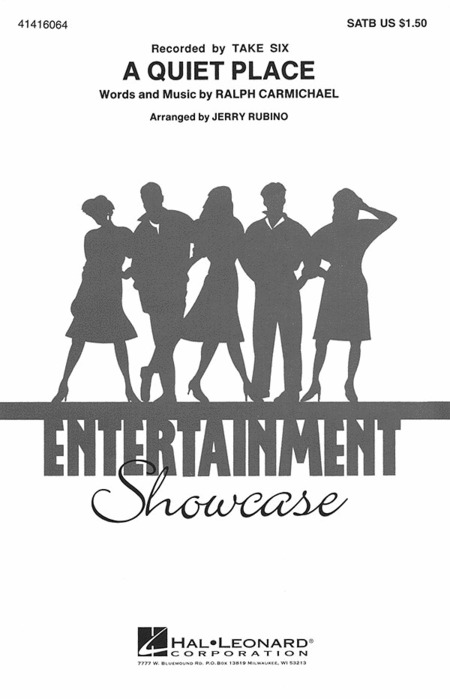 There's the holiday sentiment, Broadway verve, cool wit in all twelve exciting and engaging arrangements. In addition, each arranger has written practical performance notes, which offer advice to both conductor and singer on how to make music of this style come to life. Christmas just got spicier, so get ready to liven up your holiday concert and leave audiences (and singers) asking for more! 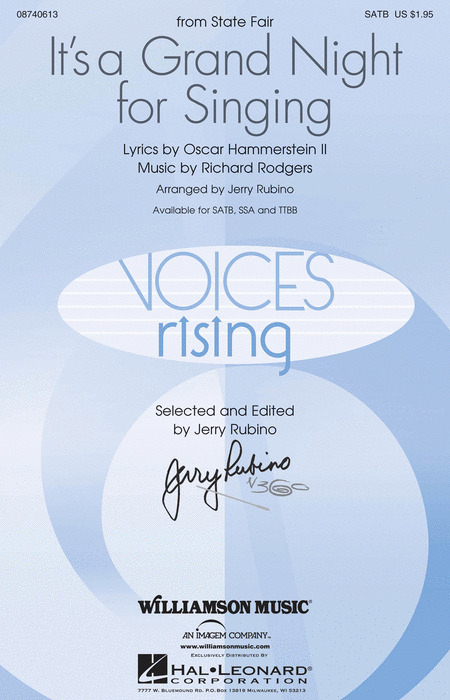 Jerry Rubino is a noted composer and arranger. He served as assistant conductor, arranger and pianist for the Dale Warland Singers. 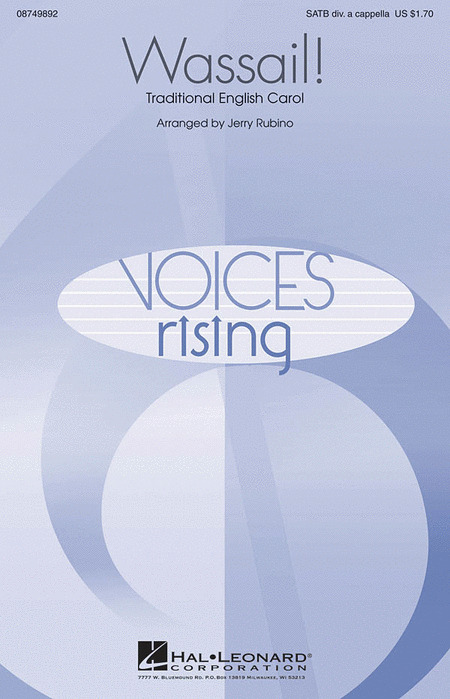 Now available in men's and women's voicings! For the advanced concert choir, this Rodgers and Hammerstein song is a great opener or concert theme! For the advanced concert choir, this Rodgers and Hammerstein song is a great opener or concert theme! Natalie Sleeth's classic. Simple, beautiful, profound. 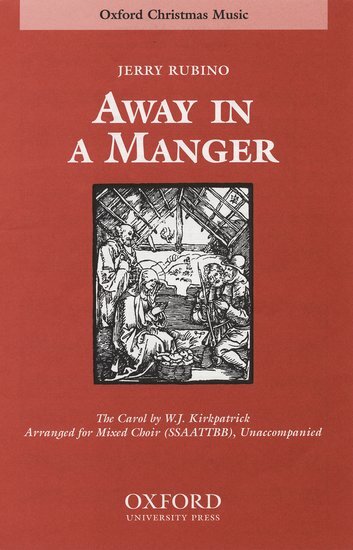 Arranged by Jerry Rubino for SATB levels junior high to adult. Another favorite by Natalie Sleeth, this popular octavo would be a fun, lively addition to your Christmas program. 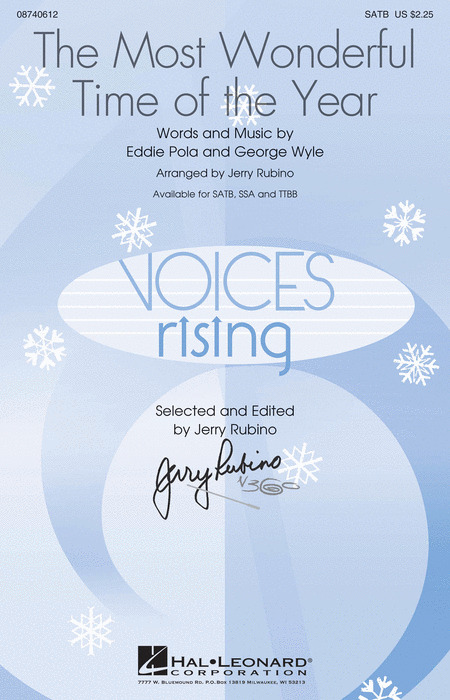 Full divisi choral textures and rich harmonies are the hallmark of this a cappella edition of this Christmas classic arranged by Jerry Rubino. This setting will enhance any holiday program! Now available in men's and women's voicings! For choirs up to the challenge, this exciting setting of the popular Christmas song features extensive divisi and dynamic range. For choirs up to the challenge, this exciting setting of the popular Christmas song features extensive divisi and dynamic range. All the joy and merriment of an English Christmas is brought to life in this festive a cappella setting in the classic style. Colorful contrasts in dynamics and texture provide variety, making this a wonderful closer or holiday concert theme. Duration: ca. 3:20.